ANAHEIM, CA—After spending $330 million on big-time free agents Albert Pujols and C.J. 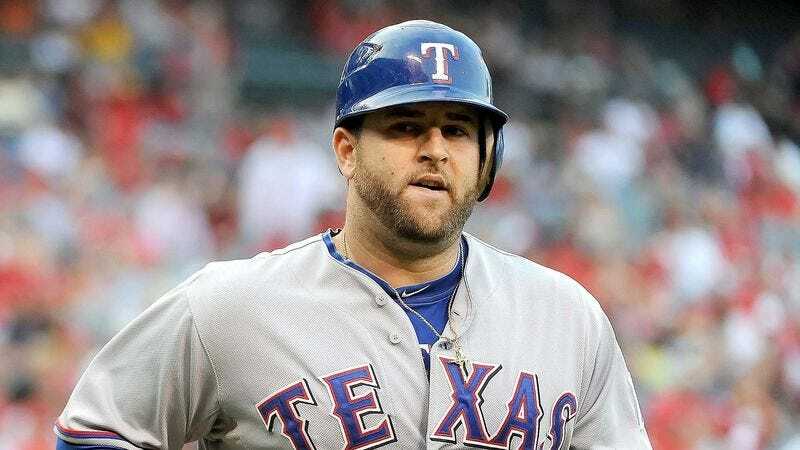 Wilson, Los Angeles Angels officials said Monday they now feel they have the pieces in place to make a trade for former Angels catcher Mike Napoli. "At first we thought we could make a run at Mike by offering a player-for-player trade, but we ultimately realized the Rangers would probably want more than just C.J. Wilson," said general manager Jerry Dipoto, adding that getting back the lifetime .264 hitter is the team's top priority. "So we signed Albert Pujols. And if the Rangers aren't willing to accept both of those guys, which I completely understand, we've already inked a $140 million contract with Prince Fielder." Dipoto said that when he presented the deal to Nolan Ryan, the Rangers president was speechless, prompting Dipoto to throw in every single Angels draft pick through 2034.